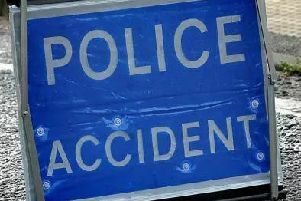 As reported yesterday, the two-vehicle crash took place near Cadwell Park on the A153 yesterday afternoon. This morning, a Lincolnshire Police spokesman said: “We are sad to confirm that following this collision, a woman in her 70s has died. "If you were in the area of the A153, near Cadwell Park, Louth, and the Bluestone Heath crossroads, at 3pm yesterday (11/04), please get in touch. "We are eager to hear from anyone, especially if you have dashcam footage. "If you think you can help, please call us on 101 quoting incident 268 of 10/04. The pictures, provided by Mike Woodward, show police officers, paramedics, fire and rescue teams and the Lincs & Notts Air Ambulance in attendance at the scene.